Widely demanded by the patrons due to rugged body and sturdier frame, these Polymer Drainage Channel are best in quality and safe from damage high pressure and continuous usage up to several years. In addition to this, these polymer channels are finely prepared with the use of best polymer and advance engineering based machines. SNK Denmark engaged in the business of Exporting, Supplier, Importer and Manufacturer of Moulds Accessories Products since 2013. 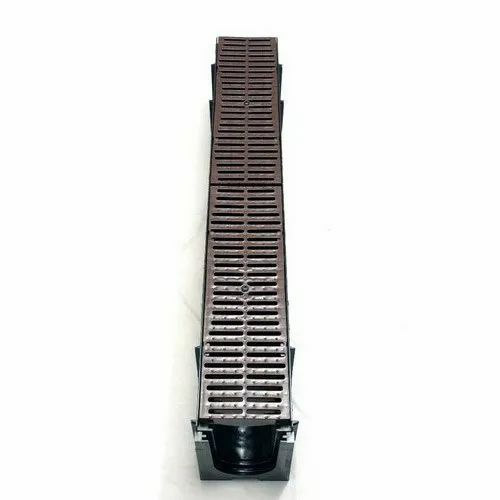 Our range includes Shower Drain, Floor Trap, Balcony and Terrace Drain, Podium Drain System, Polymer Drainage Channel, Car Parking Basement Drain, Circular Drain, Channel Drain, Slot Drain, Cross Drain System, PVC Channel, Modular Drain Channel, Chamber Cover, HDPE Drain and Heavy Duty Grating. We endeavor to become a principal force among our competitors in every market that we target. To be triumphant in reaching this goal, we all the time remain true to our principles, unmatched quality at a great value, anywhere, anytime.